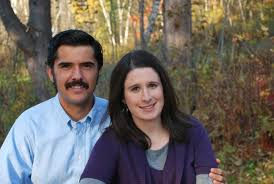 Brett and Kate McKay are a husband and wife team which author the website: The Art of Manliness. It features articles on helping men be better husbands, better fathers, and better men. In one article, they mention that in examining our society, they have noticed a certain malaise that seems to be enveloping a large section of the population. They identify possible causes as “mindless consumerism, the absence of significant challenges, the lack of shared values and norms, maybe even the lack of something to be angry at or rebel against. But at the heart of it is the fact that God created us for something bigger, something deeper. As St. Augustine said, we often remain restless in this life. We experience a deeper longing to get in touch with something of the mystical. And once we encounter mystery in our lives, then we begin to thrive. Rituals are not simply ceremonies. Ultimately, rites and rituals are transformative experiences because they form a bridge between two different situations or two different time periods or two significant points in our lives. The McKays surmise that one of the issues for the flatness of life is that our society has done away with ritual or de-emphasized its significance and importance. I believe that the transformative aspect of ritual is a key issue, specially within the context of our liturgies. Whether one is involved in ritual within the context of a religion, the Catholic Church, a parish or Jesus Christ Himself, each ritual exists essentially to be transformative. The core mission of Jesus Christ was redemption, to undo the effects of sin in our lives, to change the dark parts and transform them, through a Resurrection experience, to something better. To accomplish this, he instituted rituals (the sacraments, the preparation phases before receiving them and the “hand-holding” period immediately after reception of the sacraments known as “Mystagogia”). Getting back to McKay’s article, the combination of motion, movement, song, word, lights and scent are the parts that serve to provide rich, satisfying, ritual experiences. But the way we approach ritual also says a lot about how we allow the rituals to affect us. How does church and specifically Mass affect you? If people watched you come into St. Monica, examined your body language and actions during Mass, watched what you said, sang and did, then wrote a report on “mystery in your life,” what would they surmise about how you consider Catholic ritual? Do you attend Mass simply as an obligation? Is this merely another important task that needs to be crossed off the check list giving you a sense of satisfaction and accomplishment? Is worship something to which to bring the kids? Is liturgy an encounter with something bigger than you? Is it a mystery that you enter into? Do these rituals provide a loving, healing, spiritual ethos that you clutch for dear life fearing that, with the loss of this transcendent relationship, you would plunge back into a darkness where you’ve been before and don’t want to return? People tell me how much they enjoy Fr. Alan and his homilies. Ever see him before Mass? Probably not – because he’s hiding. He has a ritual. He’s in church 30 minutes ahead of time in the cry room or in a corner of the church or somewhere where nobody else is – trying to find some quiet. He prays. After some silence you see him jotting down some notes, fine-tuning his homily. He knows that preaching a good homily is “part of his job” and he wants to do his job well. He knows that he can’t do that in a rush. He needs quiet. He needs prayer. He needs to “tap into mystery” in order to “do his job” well. This is NOT easy in our world today. So he builds “ritual” into his Sunday. So let’s go to the beginning of this article. How are you doing in “your” job, your vocation, your recreation time? Are those parts thriving or are there components of your life that are “flat?” God wants you to thrive! But you’ve gotta give God some props. 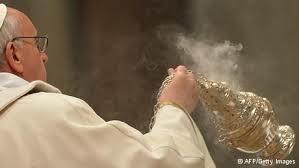 As Catholics (as ANY believer for that matter) the BIG ritual – worship – is key to this. But we get there through smaller rites as well.